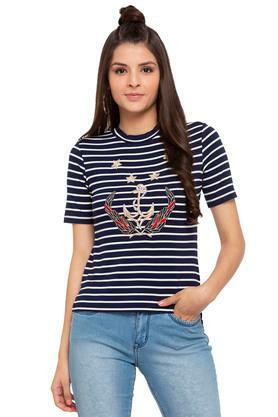 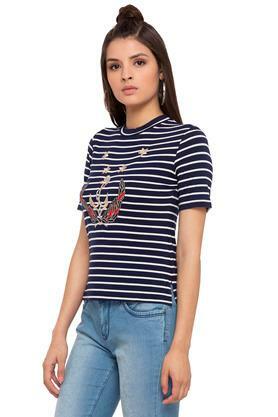 Give your regular look a flight of fancy by wearing this top from Madame. 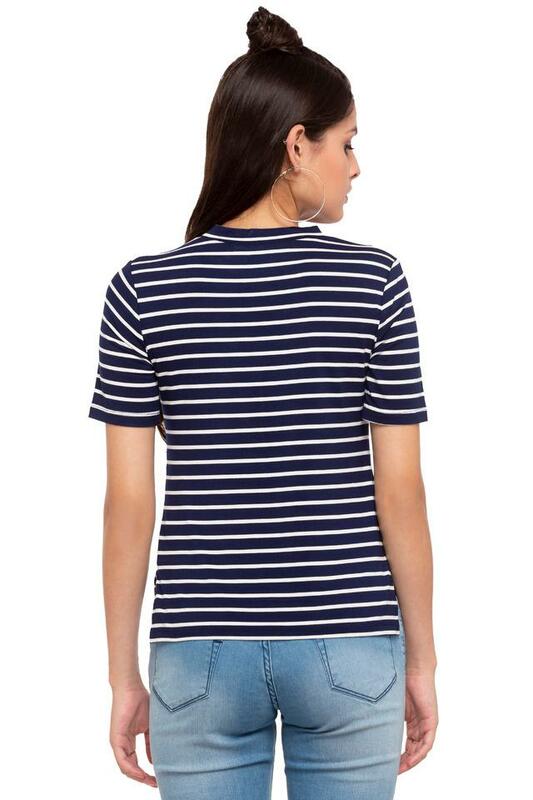 Made of good quality fabric, it will provide you with the utmost comfort throughout the day. Featuring a band collar and short sleeves, it possesses a fashionable appeal which is elevated by the striking stripe pattern. Get complimented for your sense of style by teaming this top with a pair of jeans and sneakers. 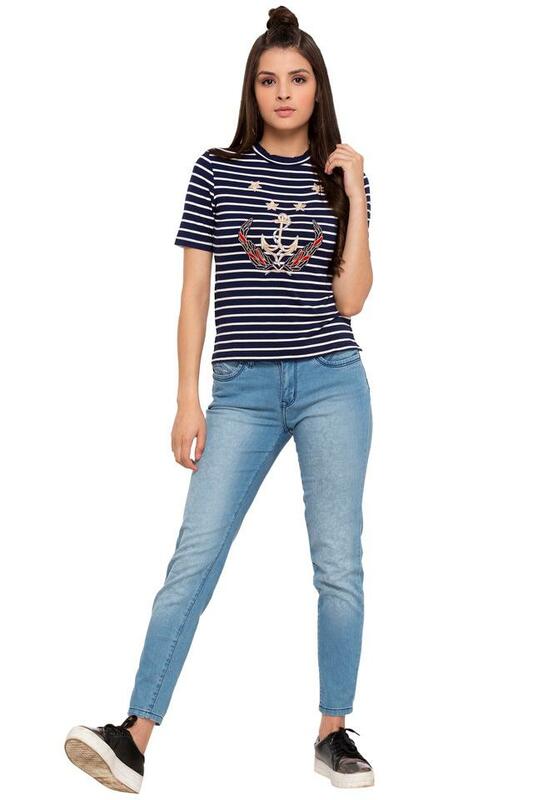 The style will round up your carefree look for any casual occasion.